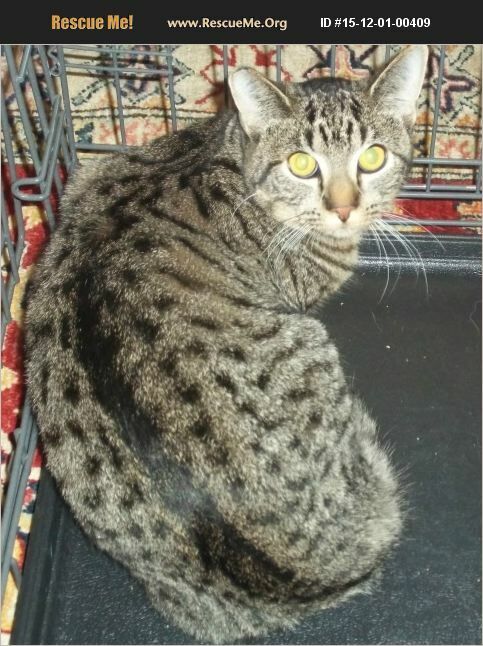 Touga is a cute 2 year old gray tabby/Bengal boy. He has been living with dogs and cats in his foster home and gets along pretty well. This cute little guy with gorgeous amber eyes and impressive markings is looking for an INDOOR home in the NORTHERN San Francisco Bay Area. If you are interested, please call.